Chaos;Child, Mystereet F, and Psycho Pass on the way. 5pb. announced three new Xbox One adventure games during a Niconico presentation this morning. First, the developer’s previously announced Chaos;Child, whose platform was yet to be announced, will launch for Xbox One sometime in 2014. Next up is Mystereet F: The Detectives’ Curtain Call, which includes Abel Software’s original Mystereet and a completely new version of the still incomplete Mystereet 2 re-developed for Xbox One. And finally, 5pb. are also developing an Xbox One game based on the Psycho-Pass anime. It will have an original story drawn up by Nitroplus, and it will support both Kinect and Smartglass interaction. 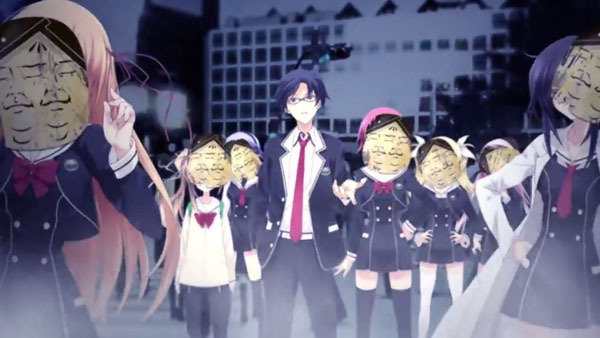 Watch a trailer for Chaos;Child below.